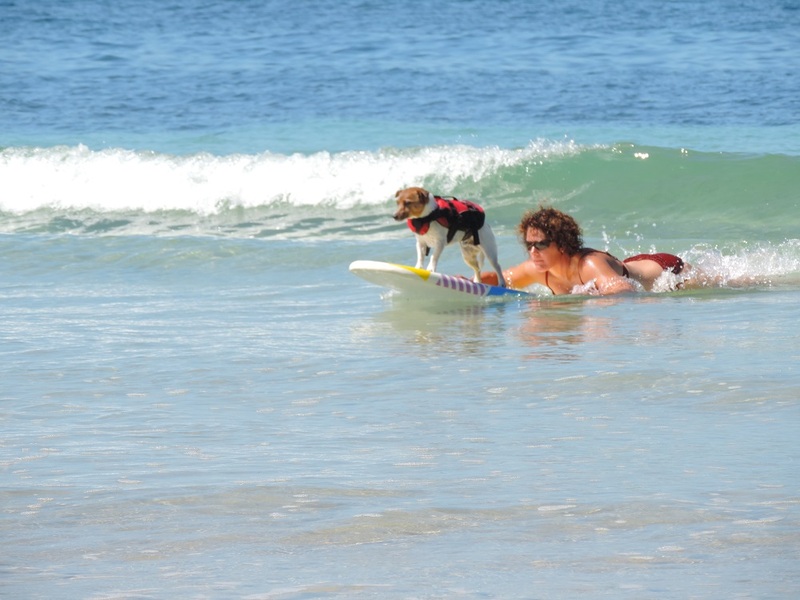 Take to the water! 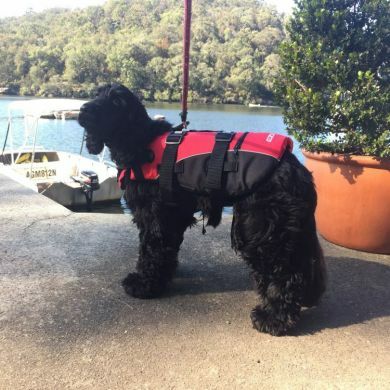 The EzyDog Dog Floatation Vest has been designed and extensively tested to give your dog an ergonomic and comfortable fit for all water activities.The unique ultra-bouyancy foam is strategically positioned within the vest to keep your dog in a natural swimming position at all times. 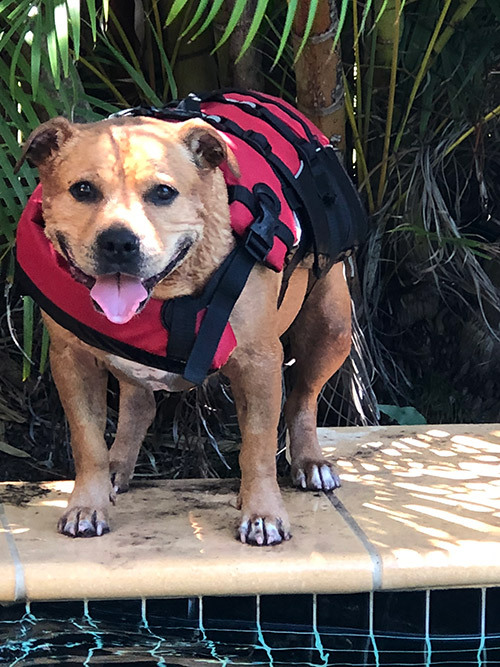 The Standard Dog Floatation Vest doesn't hinder you dog's natural movement and can be quickly and easily fastened and removed. 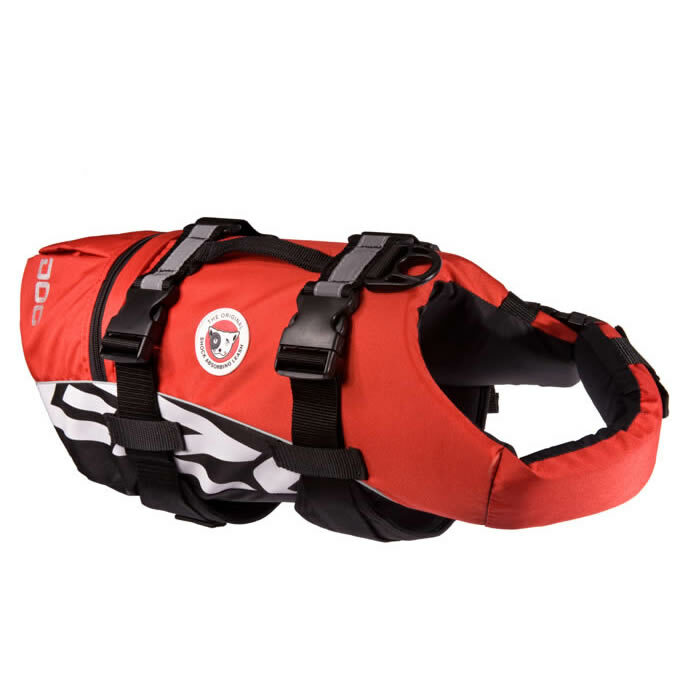 Other great features include a grab handle and super-strong nylon D-buckle allowing you to easily transport and secure your dog when required. Stainless steel D-Ring - won't rust! 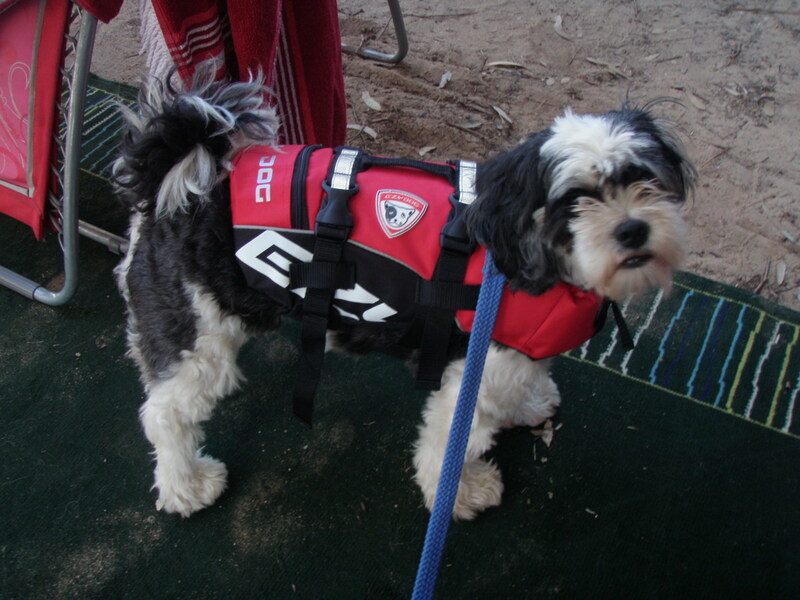 For smaller dogs under 7KG, check out the EzyDog Micro Dog Floatation Vest. Great price, great quality and I couldn't be happier with the fit. 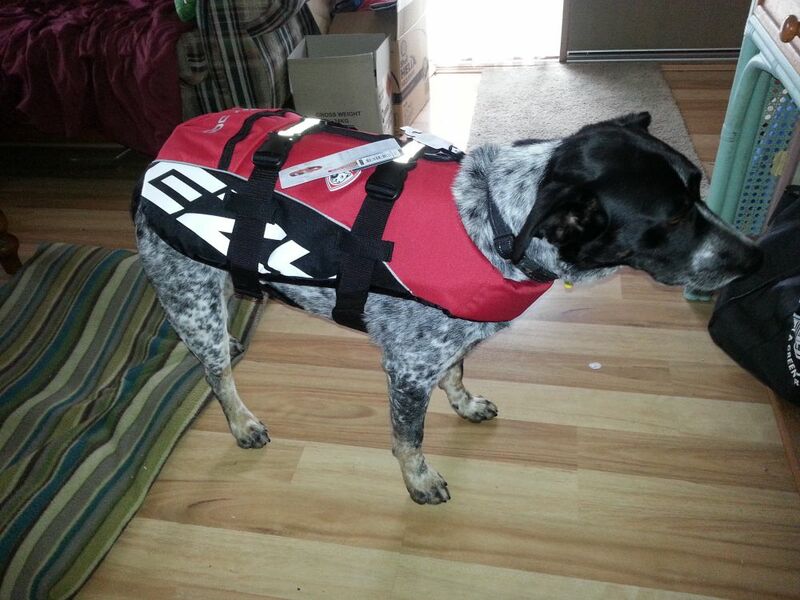 I received Banjo’s life jacket, it is awesome, she is swimming this weekend, thank-you for your service I will definitely be back, great service. 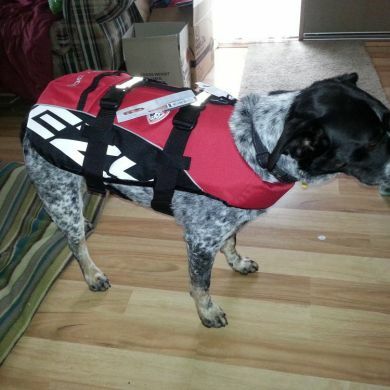 Read 47 customer reviews of EzyDog Standard Dog Floatation Vest. 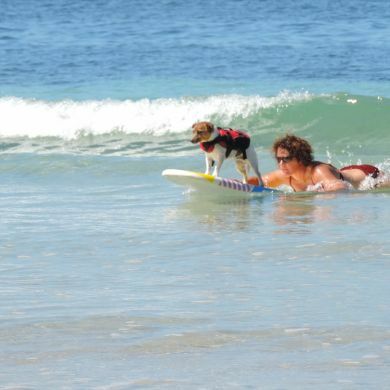 The average customer rating is 4.9. 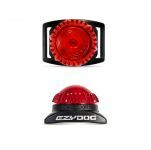 Will be referring everyone to Waggle and will be buying again! 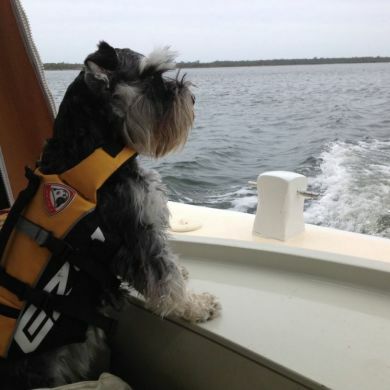 My dog is a mini schnauzer and once you have adjusted the straps you have a well fitted life jacket for your loved pet. 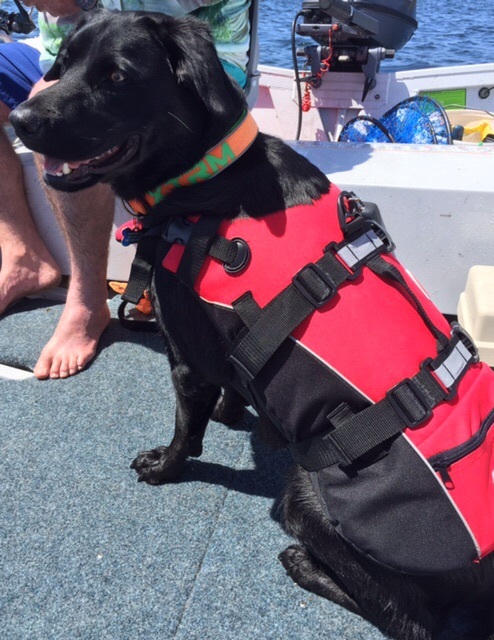 Lilly comes with us all the time on the boat and yes she has fallen overboard once (with life jacket) and I was so pleased that it was on her. 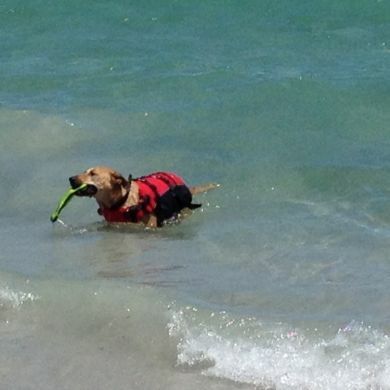 Remember pet owners dogs will only dog paddle for minutes and as soon as they feel defeated they just sink to the bottom like a lead balloon!! Fact not fiction! 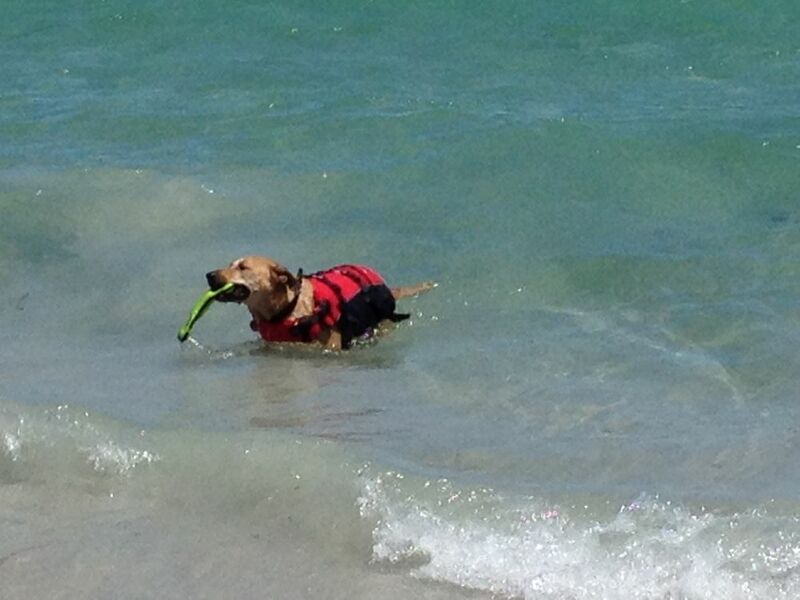 This vest has given my pooch the confidence he needed to get in the water. 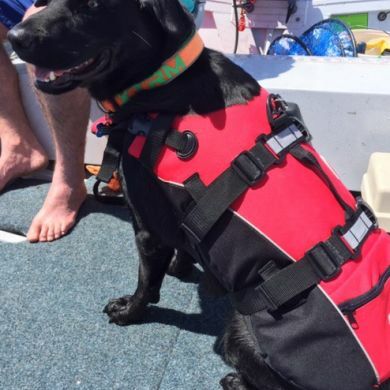 He now loves swimming and gets excited everytime I put his vest on him. 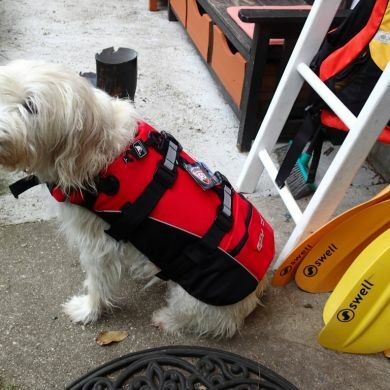 With the safety provided by the vest I now also take him on my stand up paddle board with me. 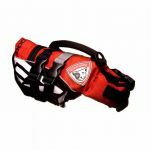 He falls off occasionally but the handy handle on the back of the vest allows me to easily and safely hoist him back on board! 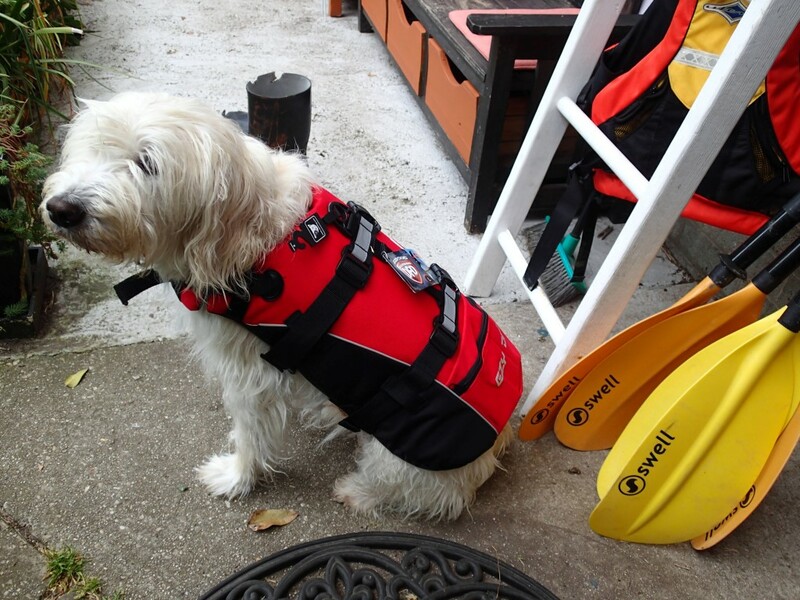 Chops didn't even notice we had put this floatation vest on him - it's so comfortable and easy to fit. 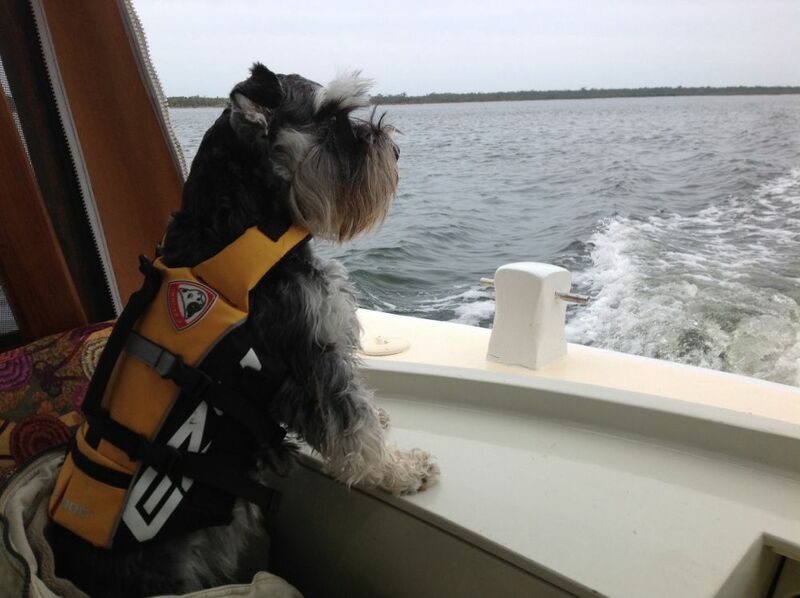 It's great for peace of mind when taking your dog on adventures with you. 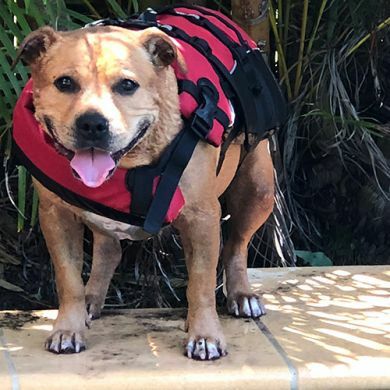 Love the little zip pocket for treats(!) 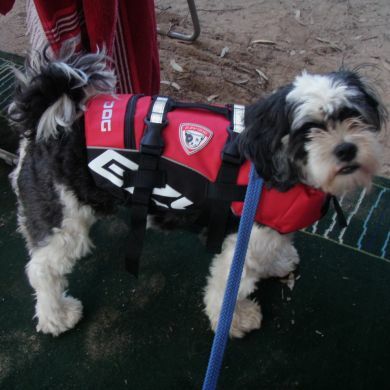 and love the little clip to attach his lead when getting on and off the boat. 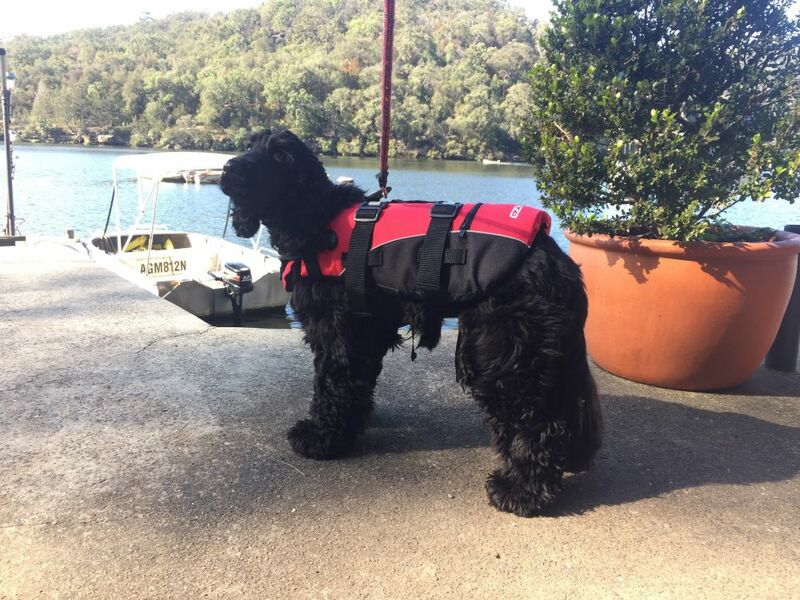 Chops is a 14kg cocker spaniel, and the medium fits him perfectly - straps are adjustable.